According to the website for the organization that started Short Story Month, we are at the dawn of a new golden era for short storytelling and I agree. As such, I sat down with Dwayne Fry to get inside the mind of a short story master. 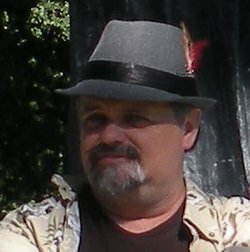 Dwayne is an indie author with more than thirty short works and collections published in a wide variety of genres ranging from lighthearted comedy to serious literary fiction that tackles tough issues. He is also fellow Vonnegut fan and a super fantastic guy, so read on to see what he has to say! Christina McMullen: So Dwayne, to get started, it's May and May is short story month. You may as well accept the title of Indie Author Short Story King. Are you comfortable becoming royalty? Dwayne Fry: Well, I'll have to dust off my throne and clean out the dungeon, but I guess I could do all that. Or force some serf to do it for me. Let the reign begin. CM: I understand kings wear robes. Wizards also wear robes and I've heard rumors that you are a wizard. Would you like to take us immediately off topic and officially make a statement regarding said rumors? Don't worry, the fact that you are a cannibal is our secret. DF: I do wear a robe, too. A bathrobe. But, you know, wizards are kind of like magicians and magicians never reveal their secrets. So, I guess by not revealing my secret I'm admitting to being a wizard. Or I could just say the bathrobe is a tribute to Arthur Dent and leave it at that. CM: Fair enough, we'll stick to the title of King for now. And speaking of Kings, in the introduction to his 2002 short story collection, Everything's Eventual, Stephen King claimed that short stories were an “almost dying” art. He cited that literary magazines and anthologies were on their way out. That was fourteen years ago. Obviously, the internet and ebooks were a huge game changer. What's your take on shorts? You've written so many and in so many genres, clearly you must see value in concise language. Tell us about that. DF: Well, to be honest, the short story works better for me than the novel, due to my weird work schedule at my better paying job. Also, thanks to Sesame Street and MTV, I have a very short attention span. I have thousands of stories I want to tell. In order to get as many of them out as possible in whatever years I have left of life, I tend to focus more on the shorter ones for now. I like working with the smaller cast and focusing on one or two plots, going for one or two ideas rather than a large collection of ideas. With novels it's a bit harder to balance the numerous plots and subplots, not to mention keeping all the characters and minor details of the story straight. I love reading short stories, too. I've been studying a lot of them the last couple of years, by Indie authors like Charles Hash, K.B. Goddard and Ray Holloway Jr. as well as traditionally published authors like John Updike and Rudyard Kipling. I carry my copy of Welcome to the Monkey House everywhere these days. It's not uncommon for people to make predictions like King did and find that it falls flat on its face. We can't really predict what will be popular in literature or any other medium in five, ten years from now. There's way too many variables. Change in the political and social climates of the world change people's reading habits. People today seem to have shorter attention spans and so I think that may be contributing to a new interest in short stories. The short story is a real challenge to write in some ways. It's like with a circus, if you have this huge tent to work with you can have many acts going on at once. With a short story, you're working in a smaller tent and can only show one act at a time, so you get to chose how you present the characters, the plot, etc. and you don't have the room to work with like you do in a novel. CM: I love the circus analogy. It's fitting as well because in the circus, you've got a little bit of everything; daredevils, clowns, acrobats, animals, all shiny and primped for the audience, yet if you take a closer look, there's a myriad of complex and sometimes uncomfortable issues below the surface. This seems to be the takeaway for a vast majority of your works as well. Most recently, I found myself thinking a lot harder on some deep subjects than I ever thought possible while reading what should be a light comedy. 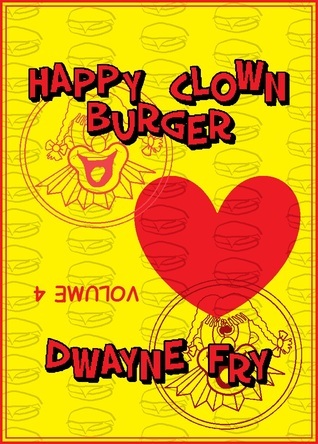 I'm talking, of course, about the fan favorite, Happy Clown Burger. Let's start with the light and move into the deep. First, what on Earth possessed you to write a series of rigidly structured flash fiction around the theme of fast food? DF: I had purchased a book of flash fiction for my Kindle. There were only five stories in it and when I was finished I sort of shrugged and said, "I could do this. But, I'm going to make it more challenging." And that's where a lot of my writing comes from, myself challenging myself to do something different. So, I took a very OCD approach and came up with a few rules. Instead of five, I would do one hundred. Instead of them being between x and y words long, I would make them all exactly one thousand words. I would also have them strongly connected by having a recurring cast of characters and one main setting, yet each story would stand on its own. I chose the setting as a work place because there's so much potential for stories in any work place. I narrowed it to fast food because most everyone has either worked in fast food or at least eaten in a fast food restaurant. I have not gotten my one hundred stories, yet, but I do have sixty-seven published and about ten more that are not published. I am confident I will make it. Originally I thought about doing them all in one book, but then decided to split it into six books with sixteen or seventeen stories each. I'm hoping to have all six volumes out by the end of this year. CM: And those stories certainly run the gamut of emotions! There's definitely something that everyone can relate to. Do you have a particular favorite set of one thousand words? DF: I do, in fact. There's one story in Volume Four I called "Men's Room / Ladies' Room". It's pure absurdity but it was so much fun to write. CM: I have not made it to volume four yet, but I'm looking forward to it! Fun writing keeps us sane. At least, I'd like to think so. Though I suspect there are plenty of folks who would argue my sanity and yours. Especially if they were to read some of your darker and dare I say weirder works. Let's move on to horror for just a moment. Personally, I think horror is one of the better suited genres for short stories, but I've noticed they can get pretty formulaic. Your horror stories are definitely unique. 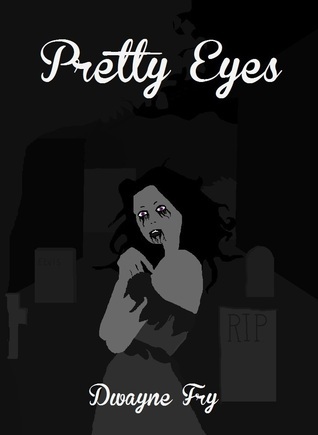 Pretty Eyes is quite interesting because I can't say that I particularly cared much for the main character and yet, the story was better for it. Care to talk about your characters? Give us a little insight into how you can flesh out (pun related to Pretty Eyes intended) such detailed characters without the advantage of novel lengths. DF: First, I would like to state that sanity is greatly overrated. For the characters in my horror tales, I try to get into their heads and learn what they are afraid of or what makes them terrifying, depending if I’m looking at the protagonist or the antagonist. I'm glad you mentioned Pretty Eyes. Karl is one of my favorite characters. I can't really fully go into him here without spoiling the story, but it's one character where what he feared and what was fearful about him was fascinating to me -- and it a way ended up being pretty much the same thing. The thing that Karl feared most was himself - or someone like him. I liked Karl, too, in that on the surface he seems like an average Joe, but the more time we spend with him, the more we see something just isn't right about him. And I started seeing things about myself in him, too, which frightened me a little. I'm hoping he has the same effect on the readers. CM: Very interesting. It's always fascinating to hear about how an author puts some of themselves into their characters. That your characters would show you something about yourself isn't too surprising. Now, speaking as a reader, I find I definitely love a story more when I can relate to it. And with your stories, there are a lot of relatable characters. I'd love to be able to talk about all of them, but we'd be here all night, so I'm going to bring up one of my favorites, which is Old Pops' Last Beer. You subtitle this as a ‘maudlin redneck fairytale’ and I have to say, it is fitting. Again, your characters are nuanced and there's a whole history in just a few words. This book is part of a series of lightly connected stories centered around a small town and of what I've read so far, this might be my favorite group. I understand you're working on a longer work within this microcosm. Can you give us some of the background and inspiration for Noah City? DF: I lived in a small Iowa town for about two years, from 1986 to 1988. It's a redneck town. I fit in, to a point, being a bit of a redneck myself. But, many in the town were more of the negative type of redneck one hears about. Racist, sexist, drinking all the time and so on. Not everyone there was like that, of course. But, that is the town I use as the model for Noah City. Not all the Noah City stories are about the rednecks. Lazarus Wept certainly is not. I have three or four other shorts that I will be putting out soon in that series, one features Ample Mabel as the main character. She's only been a minor character up to now, in Old Pops' Last Beer and Austism. The novel will be called The Arteest and it is the story of a middle-aged man who left Noah City years ago and made a name for himself as an artist in California. He's come back to town on some business. I can't say why right now or it would spoil things, but it is strongly connected to one of the short stories. Several characters from the shorts make appearances in the novel. The Worth family lives right across the road from the artist, so we get to see more of Dallas and Austin from Austism as well as learning more about the rest of their family. Wesley Darin from Bonny Truman plays a big role in the novel as do several other characters from the shorts. Just to be clear, it is not necessary to read the shorts in order to follow the novel, nor is the novel required reading to understand the shorts. They all stand on their own. CM: And now I'm going to turn the tables and ask you which of your stories is your favorite? Which one is the most underrated? And lastly, given all things being equal, if I could only read one of your stories, which should it be? DF: The first and third questions are easy. Austism. Hands down. Austin, the main character, is probably my favorite of all the characters I write about. I love the rest of the cast of that one,too. And I think the underlying message in it is important. As for your second question, that's much tougher since I have had some pretty good feedback on all of my work. I don't know that any of it is underrated. There are some that haven't gotten any attention yet and I guess that's kind of like being underrated, so I'll pick one of those. 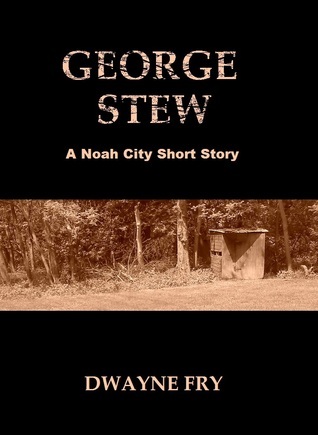 Since the Noah City stories are, I think, my best published work, I'll pick George Stew as the most underrated. As far as I know my wife is the only one who has read it and she bawled her eyes out at the end. So, yes, it's one of those stories. CM: Thank you for lending me your time, Dwayne. Hopefully this wasn't too painful. DF: No, it was actually fun and an honor. Thank you so much for giving me this opportunity! 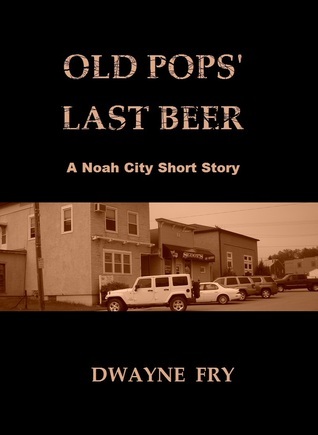 As I mentioned above, Dwayne is a prolific author of dozens of stories. I've personally likened his work to "Jean Shepard meets South Park" and "If Kurt Vonnegut wrote a Twilight Zone episode." Visit his Amazon author page and check them out. 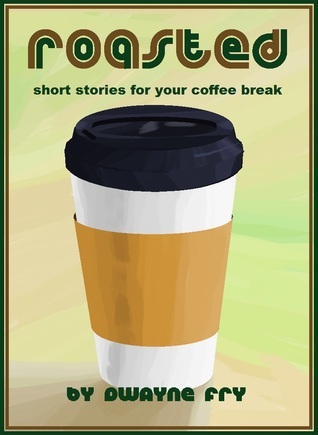 Standalone tales are just a buck and all of his works are free to read with Kindle Unlimited. Need more convincing? 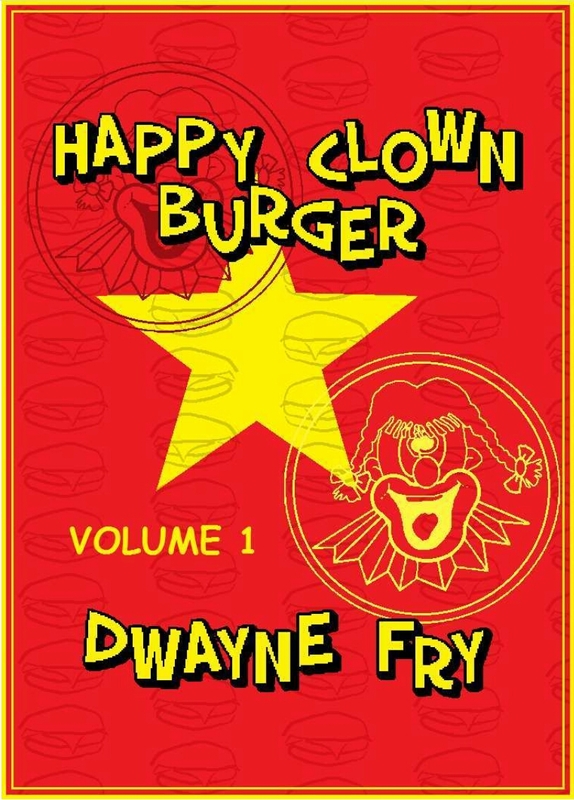 Click here for an excerpt from Happy Clown Burger Volume 4!